The market growth is driven by stringent government rules and regulations toward vehicle emission and increase in fuel costs. In addition, rise in pollution, technological advancements, surge in automobile industry, and decrease in fossil fuel reserves have fueled the growth in the development and production of low speed electric vehicle. High vehicle cost and lack of proper charging infrastructure are some of the major restraining factors of this market. Furthermore, proactive government initiatives and technological advancements in electric vehicles ensure lucrative growth opportunities for this market globally. This can be attributed to rise in the sale of automated vehicles globally. These features offer lucrative opportunities for the low speed electric vehicle demand globally. 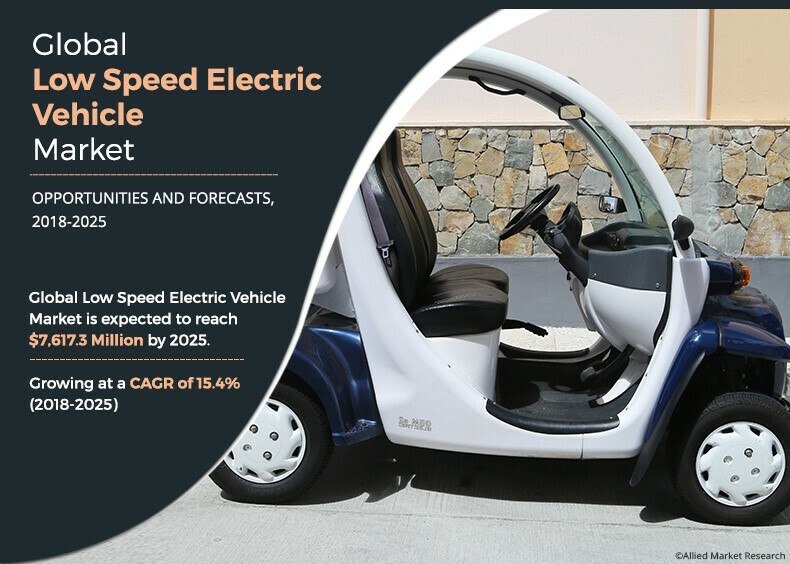 Key players operating in the global low speed electric vehicle market are HDK Electric Vehicles, Bradshaw Electric Vehicles, Textron Inc., Polaris Industries, Yamaha Motors Co. Ltd., Ingersoll Rand, Inc., Speedway Electric, AGT Electric Cars, Bintelli Electric Vehicles and Ligier Group. This study presents the analytical depiction of the low speed electric vehicle market analysis along with the current trends and future estimations to depict the imminent investment pockets. The low speed electric vehicle functions on electricity and does not use conventional fuels, such as gasoline or diesel, as its power source. Moreover, the usage of alternative fuel and electricity in these vehicles leads to zero emissions, making them ecofriendly. The advent of low speed electric vehicles is a paradigm shift in the modern world. Automobile manufacturers are inclined toward electric and alternative fuel vehicles due to increase in vehicle emission regulations. The low speed electric vehicle market is in its maturity stage and contributes significant revenue in the overall automotive industry. Among the analyzed geographical regions, currently, North America is the highest revenue contributor and is expected to dominate during the forecast period, followed by Europe, Asia-Pacific, and LAMEA. This growth is attributed to the increase in demand for electric vehicles for various types of vehicles ranging from low-end passenger cars to heavy load commercial vehicles. "Low Speed Electric Vehicle Market"